KC’s Timeout Lounge, located at 1121 Washington Square, Evansville, IN 47715, has live bands every weekend! At KC’s Time Out Lounge and Grill in Evansville, IN, we showcase talent from all over the country. Every Friday and Saturday night, you can catch a live music that’s sure to rock your world. Their incredible sounds mixed with our awesome light show will be the highlight of your weekend at a different kind of nightclub. Make sure you come early for a good seat! Click and take a look at our latest drink and food specials before coming! KC’s Time Out Lounge and Grill will become your new favorite restaurant, nightclub and hangout spot in no time. 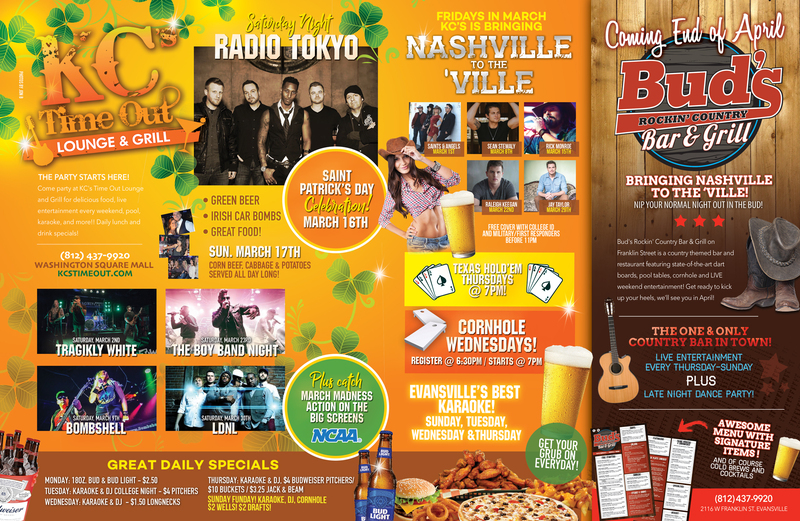 Be sure to check out our lunch specials, drink specials and live entertainment schedule right here on our website. Feel free to contact us for more information. We’ll see you soon! Looking for a good time that includes delicious food from a local restaurant in Evansville, bar & grill as well as awesome live bands? 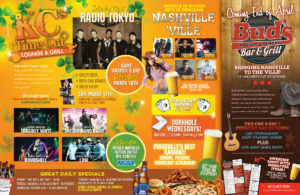 KC’s Time Out Lounge and Grill is your hot spot for relaxing daytime activities and exciting nightlife events. Our Evansville Indiana Bar is more than just that, it’s a premier nightclub and restaurant offers tasty lunch and beer specials that you can enjoy while playing pool, darts or corn hole, or singing your heart out at karaoke. Our restaurant menu includes your favorite bar & grill food, such as pizza, sandwiches and wings; and our lunch and beer specials change daily. Come enjoy a great meal and be entertained at the same time!